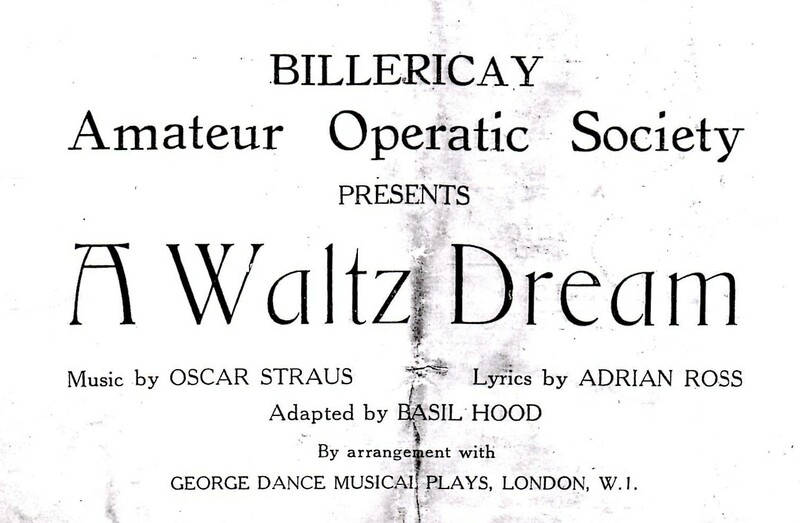 Billericay Amateur Operatic Society was founded in 1929, and is now known as Billericay Operatic Society. 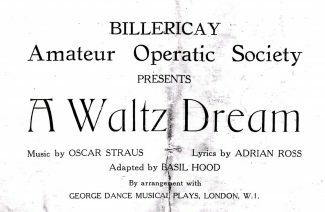 For their thirteenth production in March 1939 they presented A Waltz Dream. It was not planned to be, but, became their last show before the War. It was presented in the Archer Hall, then known as the Archer Memorial Hall, which stood on the site of Emmanuel Church in Laindon Road. 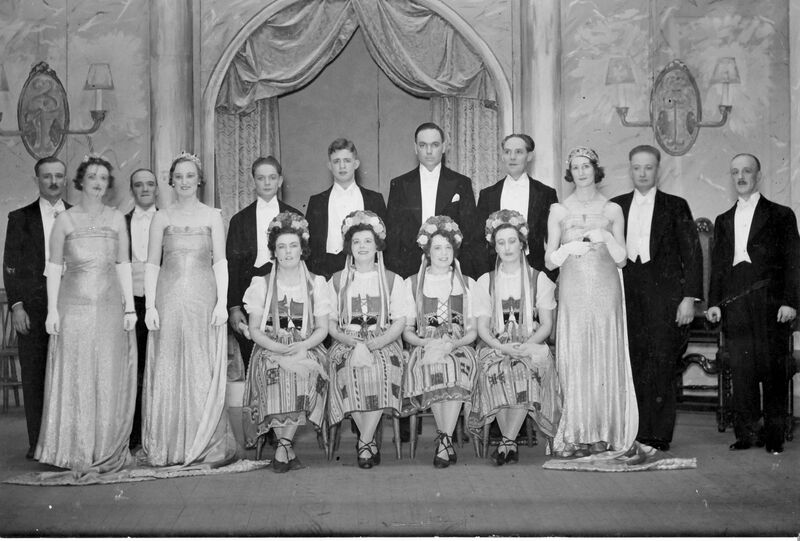 The main picture below appears to be of some members of the ladies’ chorus together with the gentlemen’s chorus. None of the identities of the ladies’ chorus are known to me. But I have some names of gentleman’s chorus. They are: A Bishop, second left, followed by C Giachardi, J Crook, D Greig with E Looker and T Pearson on the extreme right. Cyril Giachardi was a well local character who taught hundreds to drive in his long lived Morris Traveller. The names of the performers in the choruses are from the original programme. They are reproduced below in the hope that they can be connected to the performers the picture. I can give you the forenames of three of the ladies in the chorus: Winifred Western, married to Charles Western who was certainly MD for later productions, Doris Western who I think was Charles’s sister and married Percy Fisher, and Agnes Fisher. But I don’t know if they are in the picture. Lovely costumes and scenery.